It’s a welcome pattern for American television right now — at least on premium services. Eight episode seasons, short, sweet, and easy to binge after they’re over. 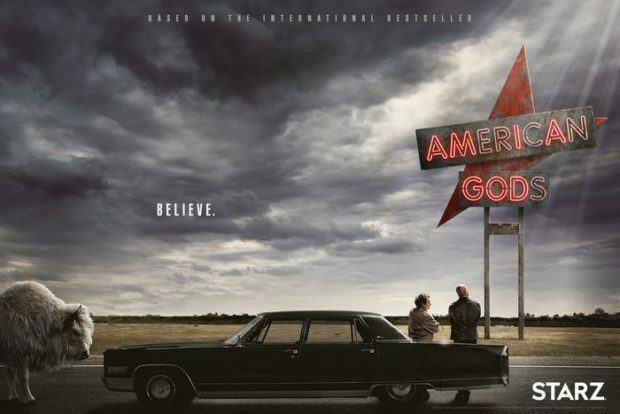 And already it’s easy to say that people will be binging on STARZ’ American Gods. The pedigree is spotless: produced by Bryan Fuller from a truly great imaginative novel by Neil Gaiman. STARZ released a teaser image and… that’s it. I’m actually really pleased with that. I don’t want to know more — I want to watch the series.